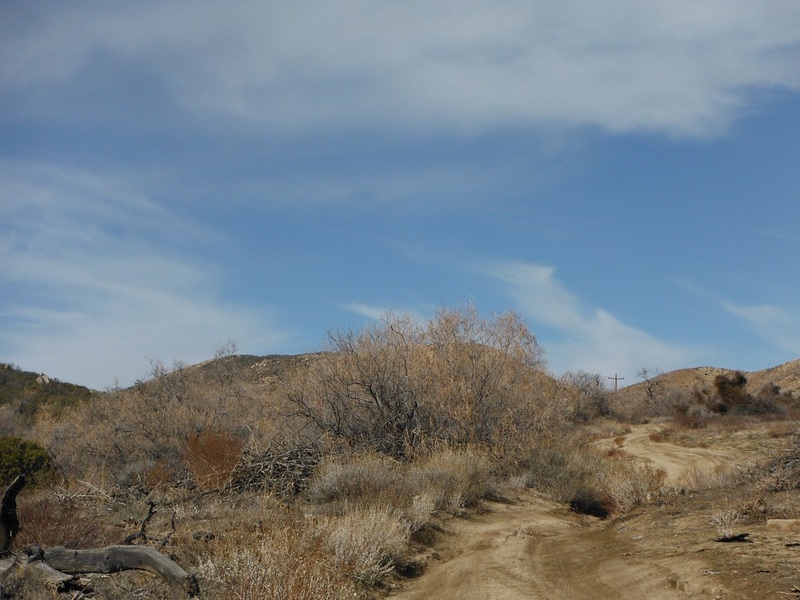 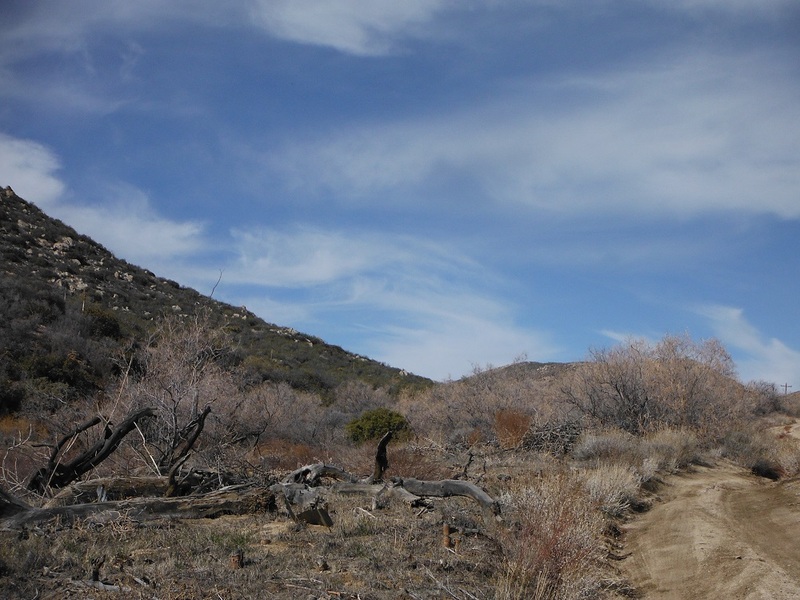 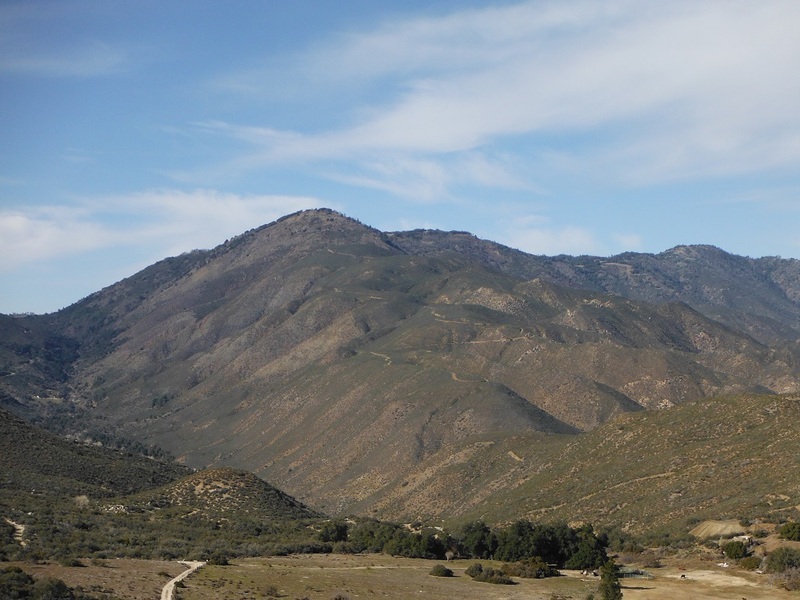 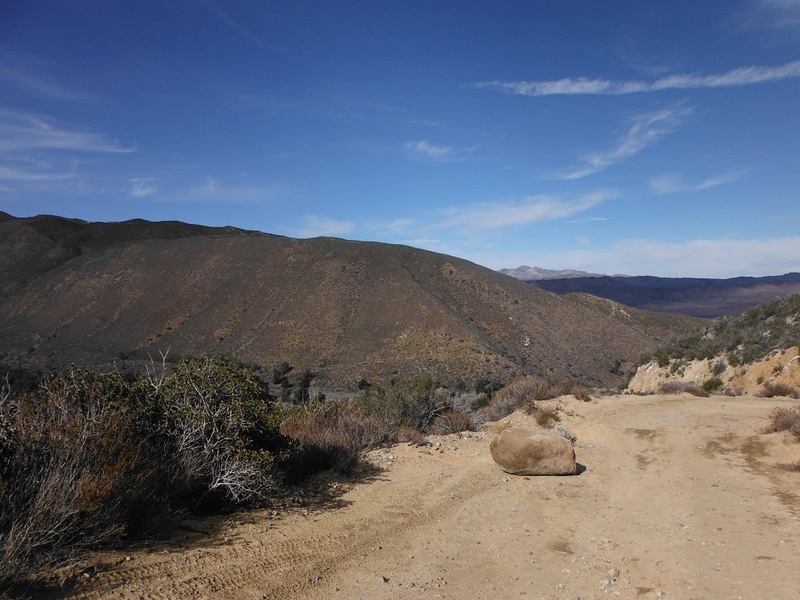 Rodriguez Canyon is an easy trail southeast of Julian, CA. 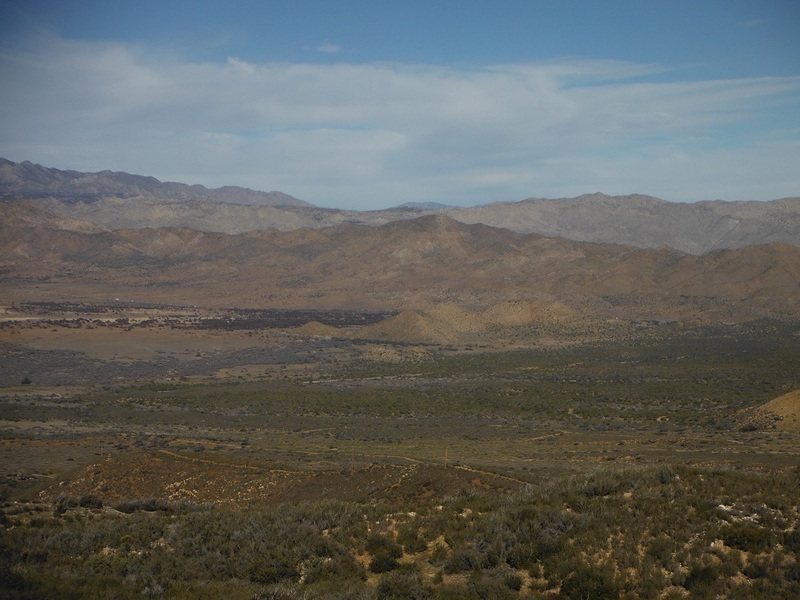 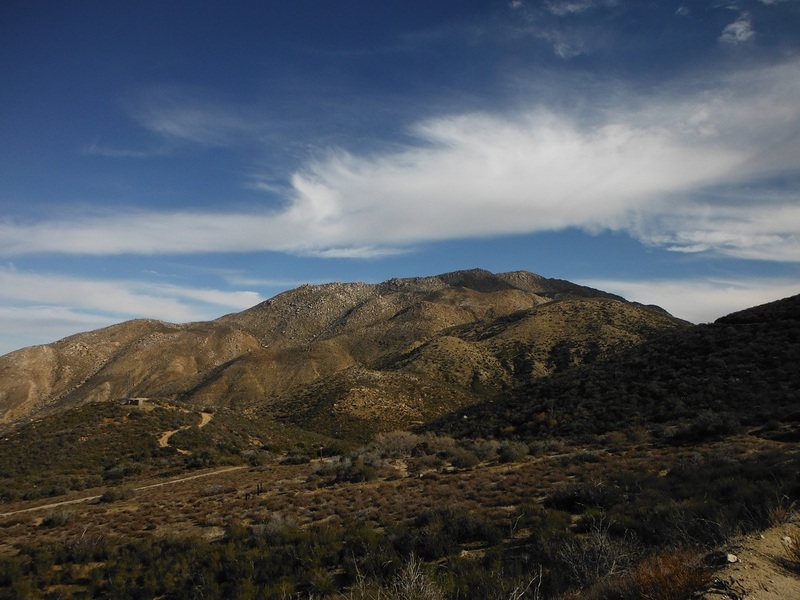 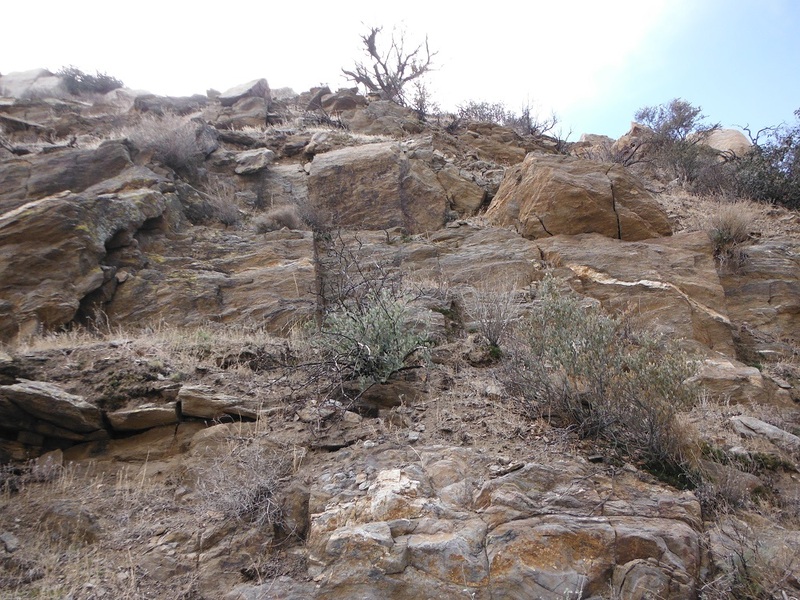 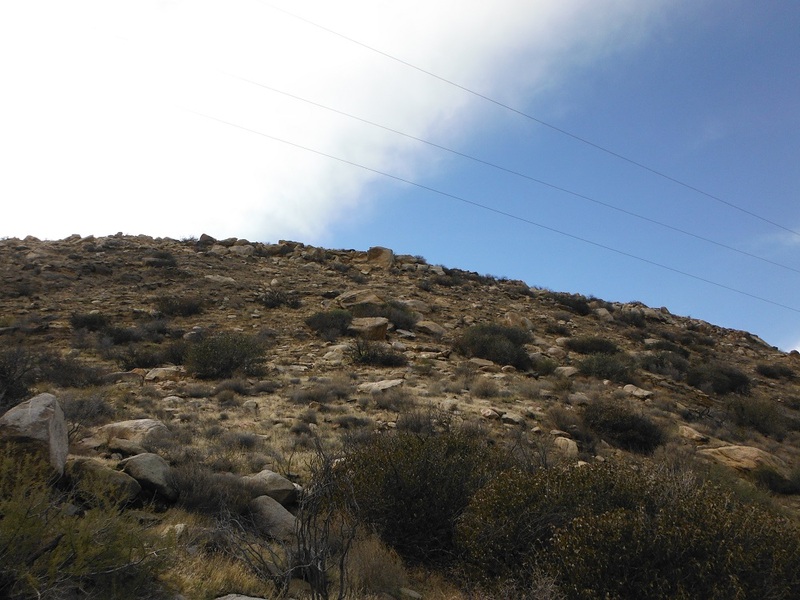 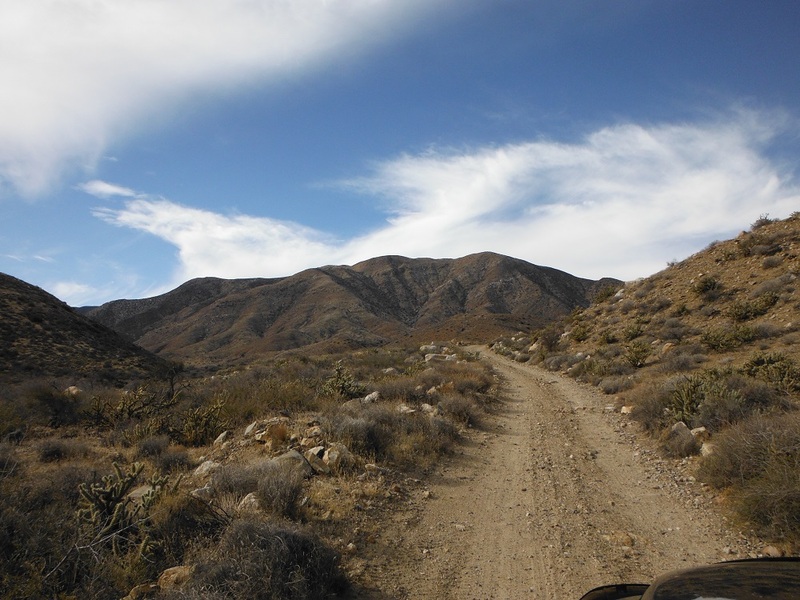 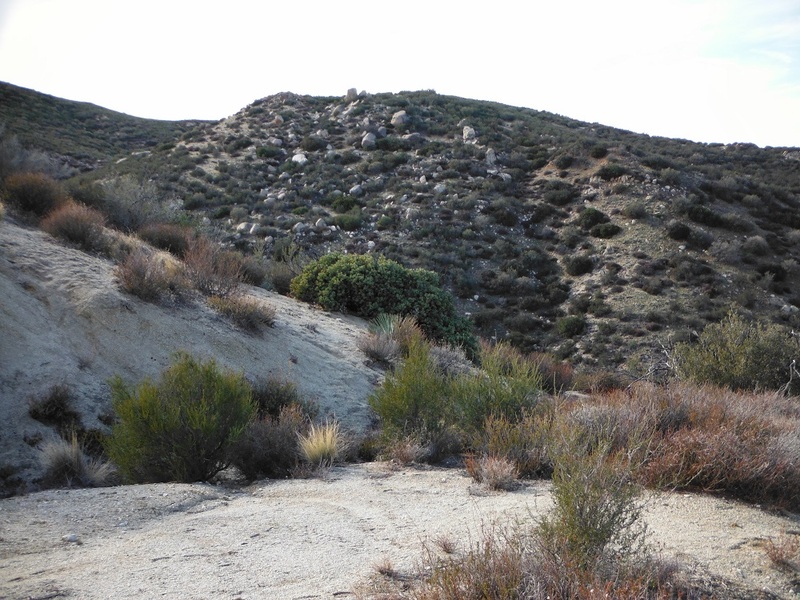 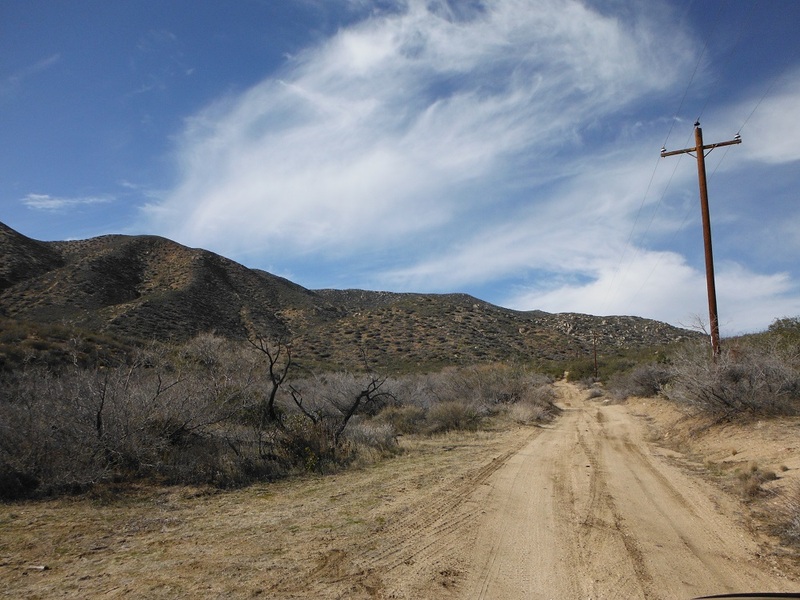 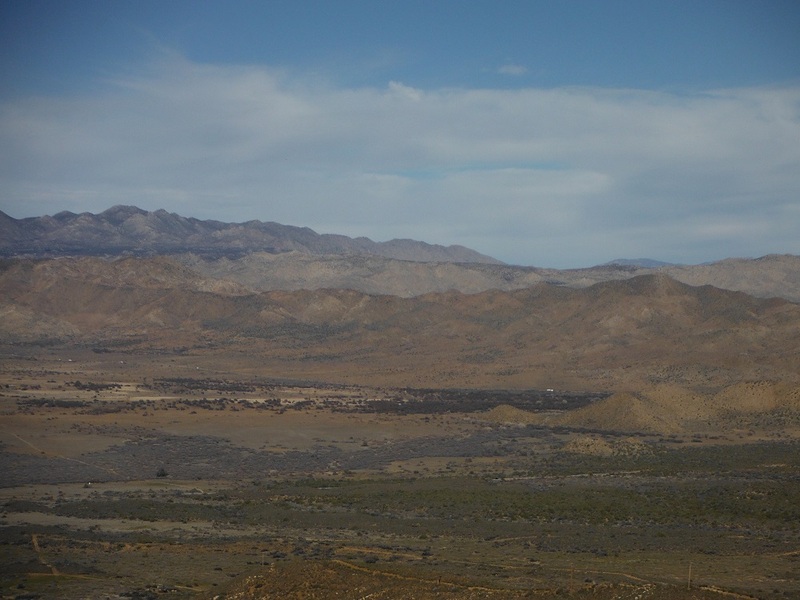 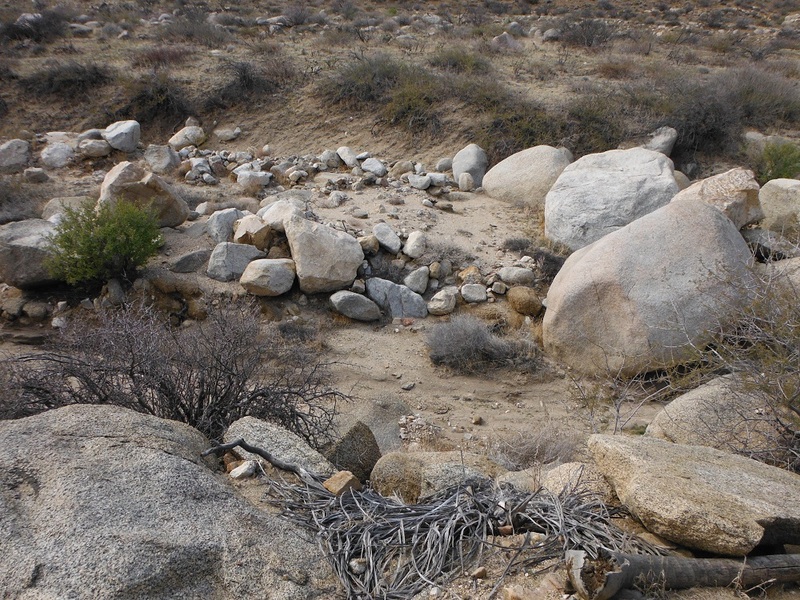 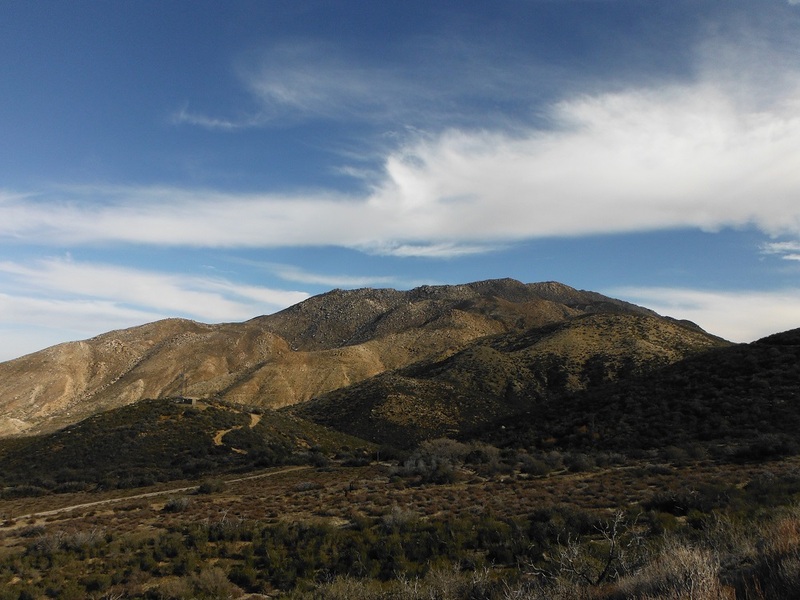 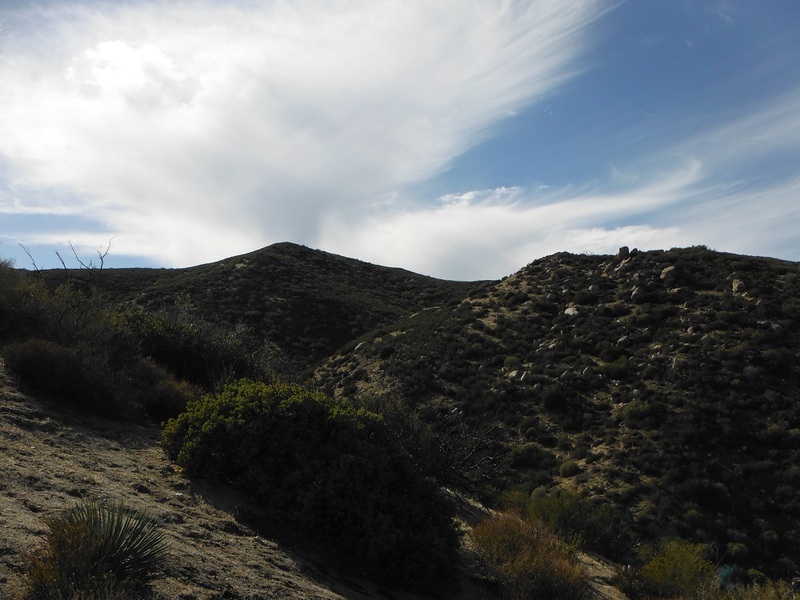 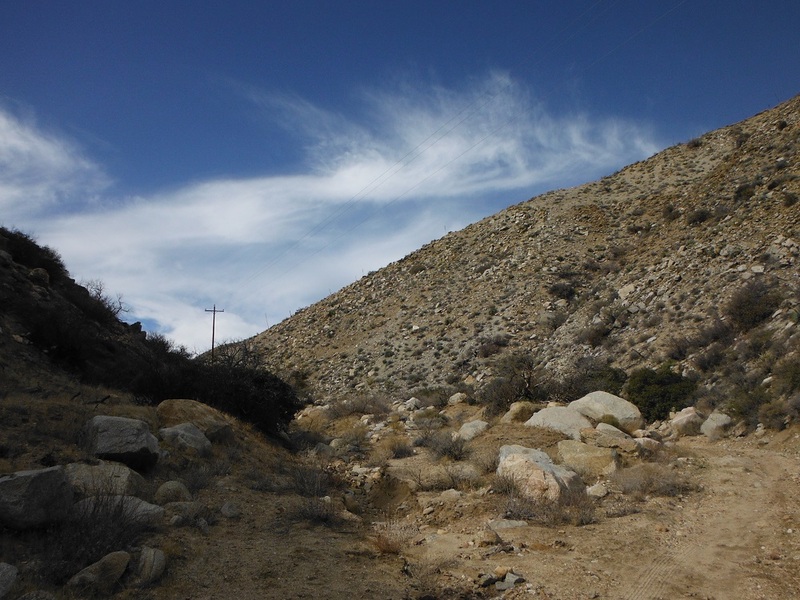 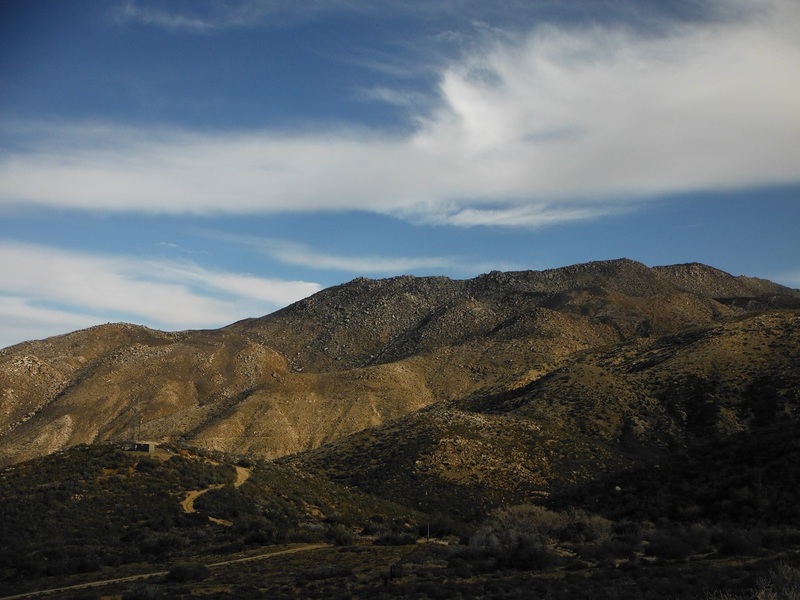 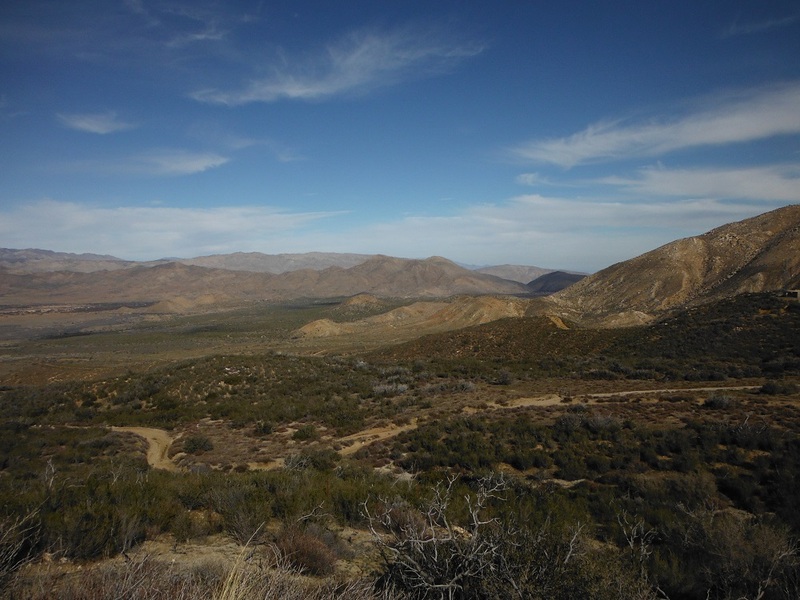 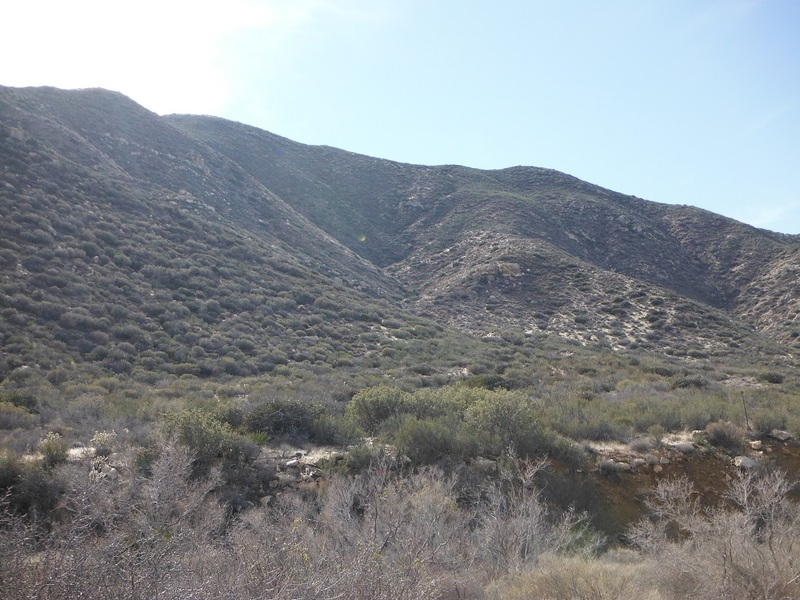 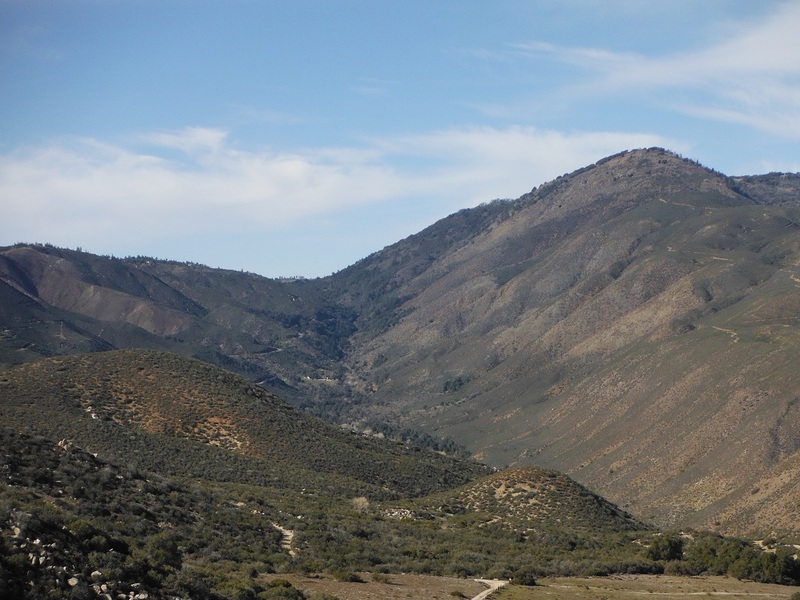 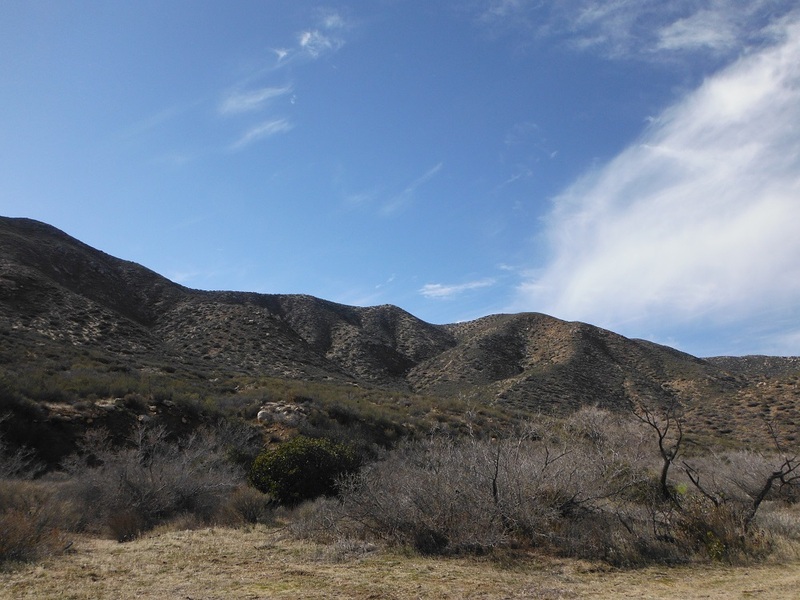 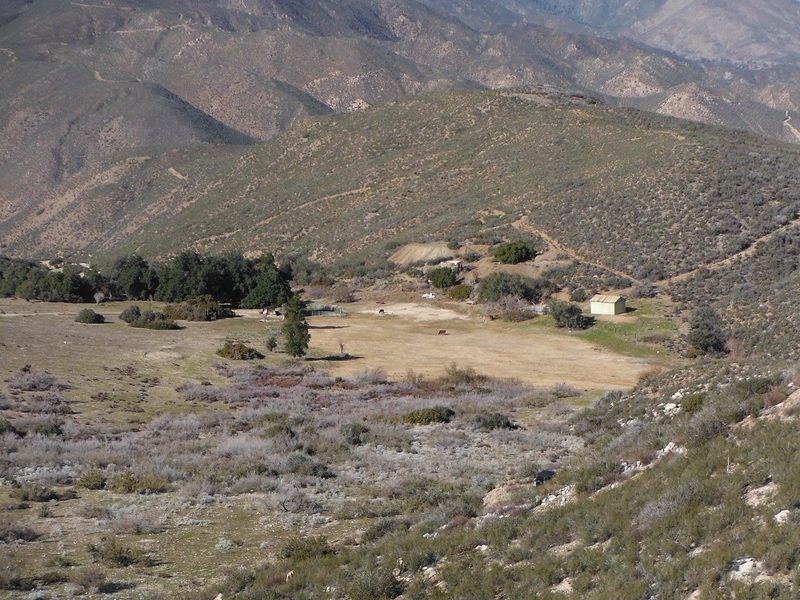 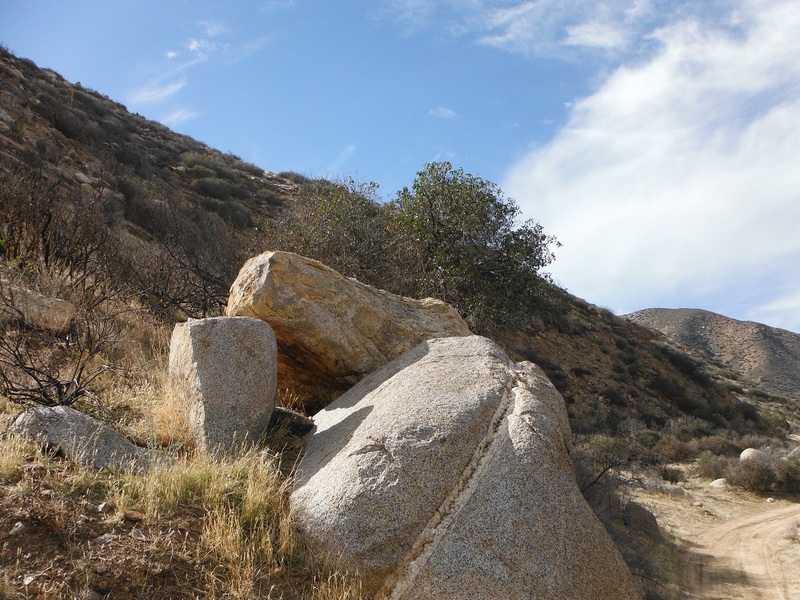 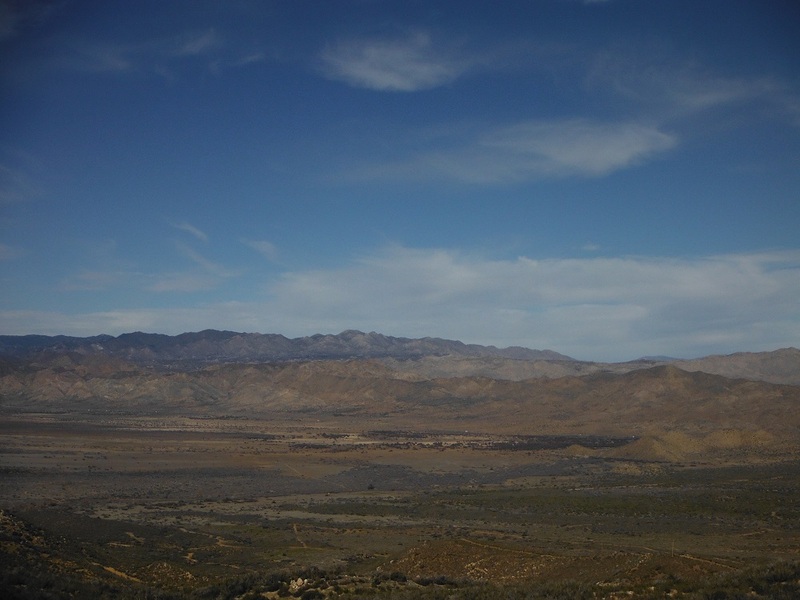 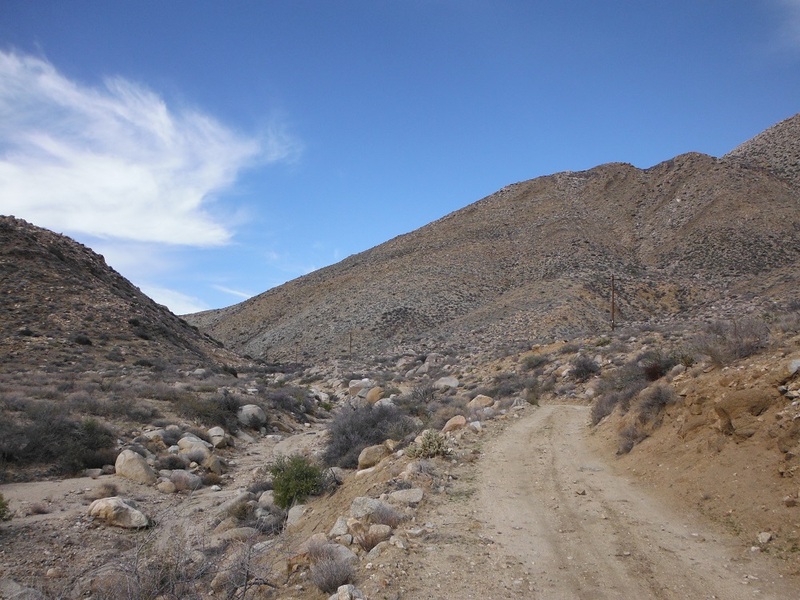 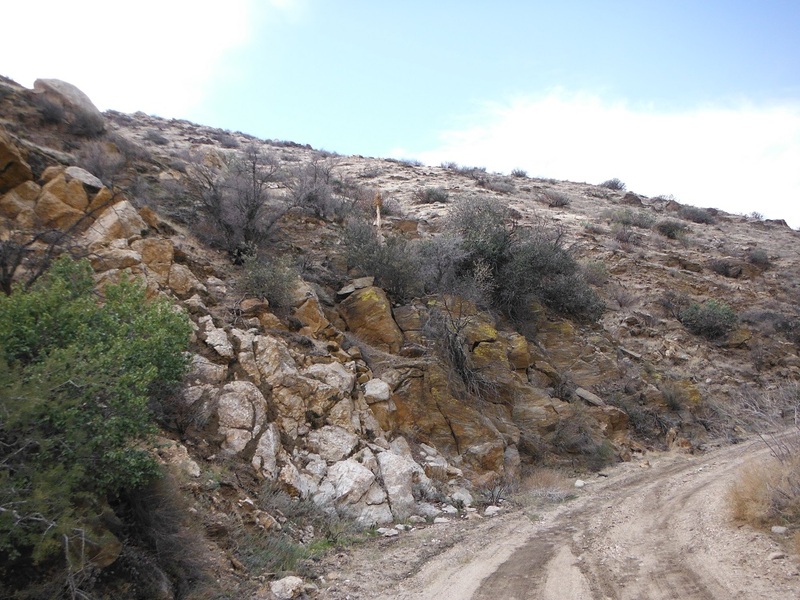 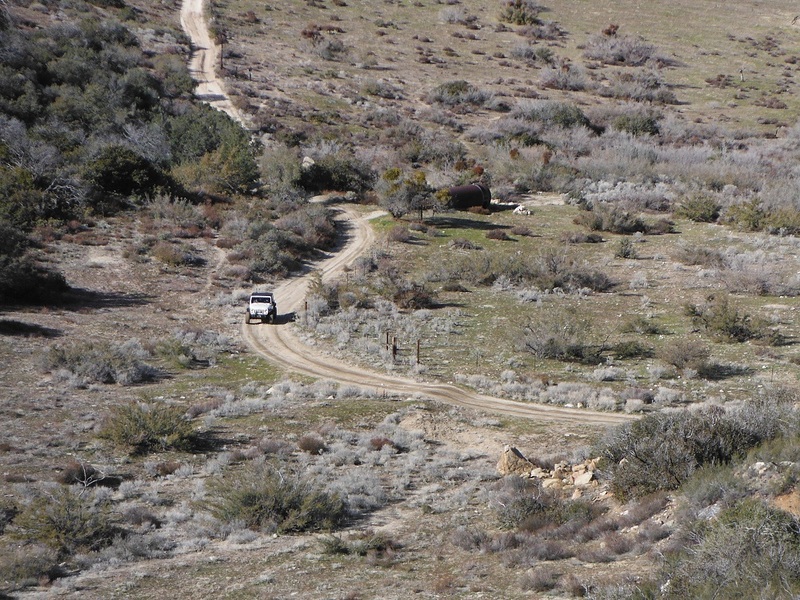 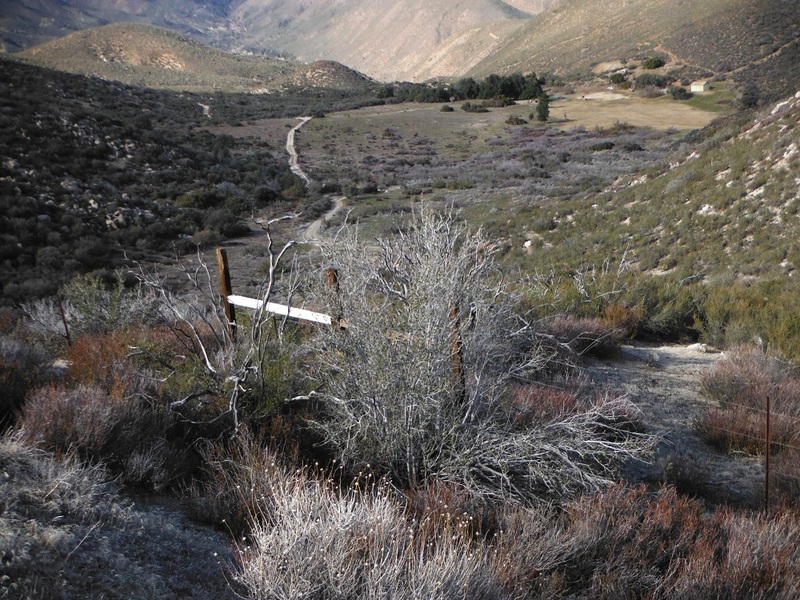 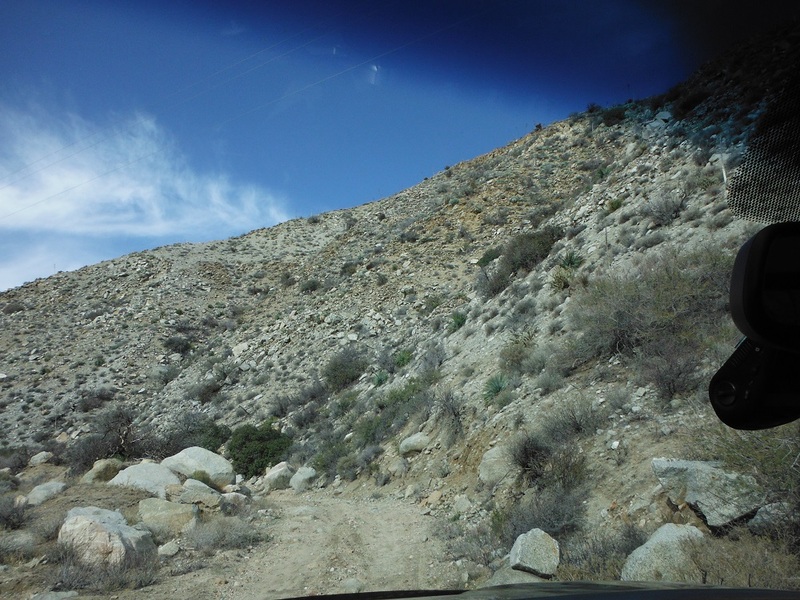 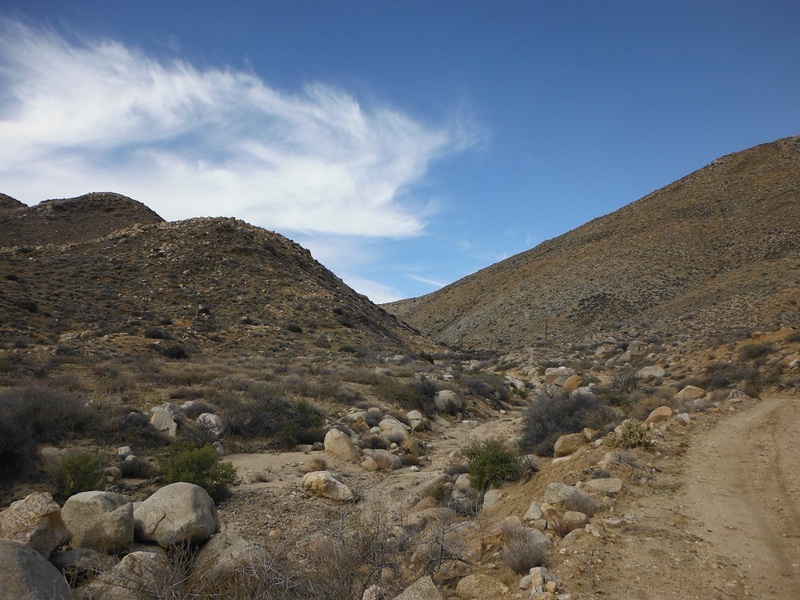 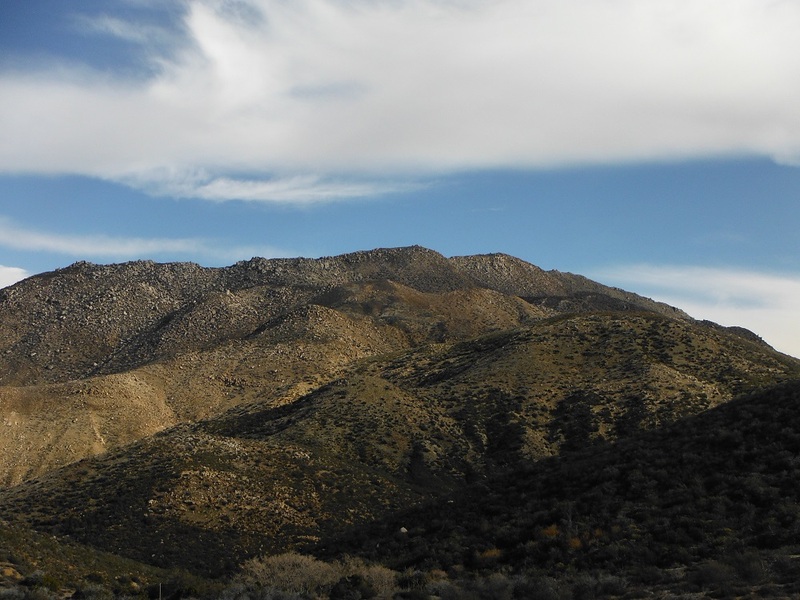 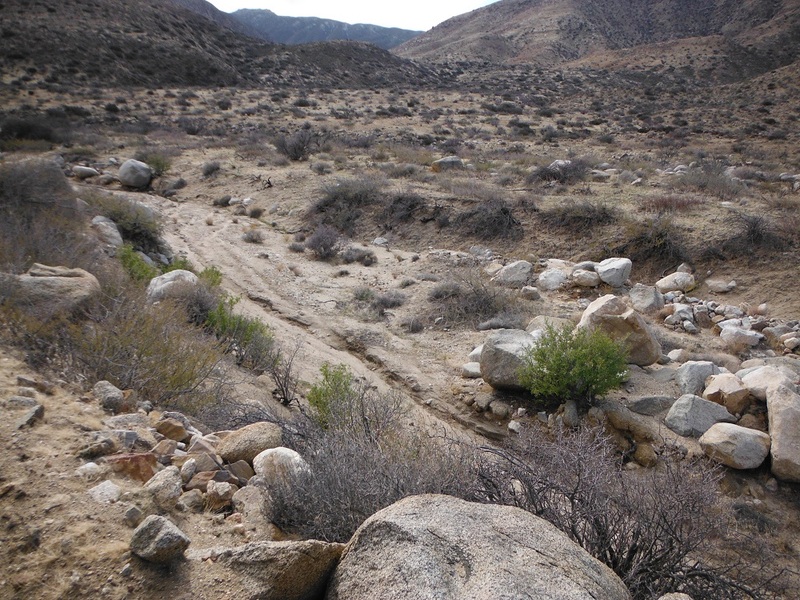 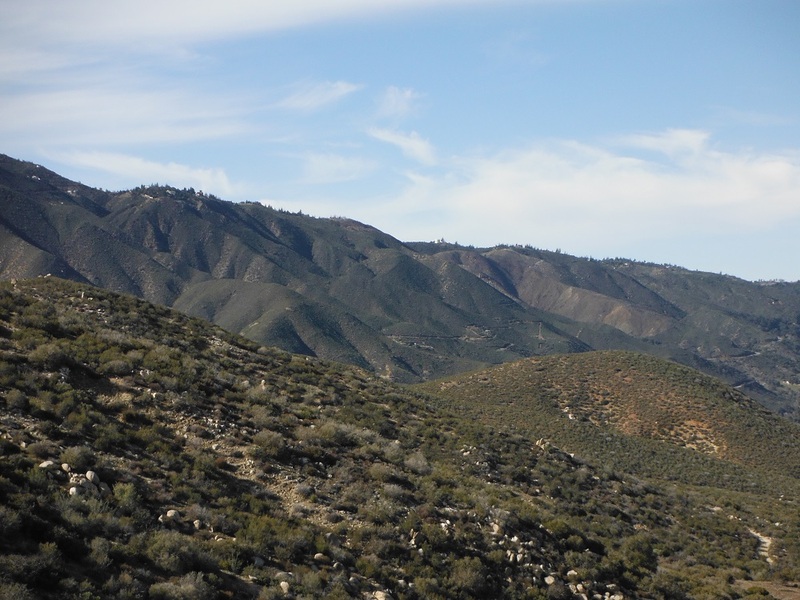 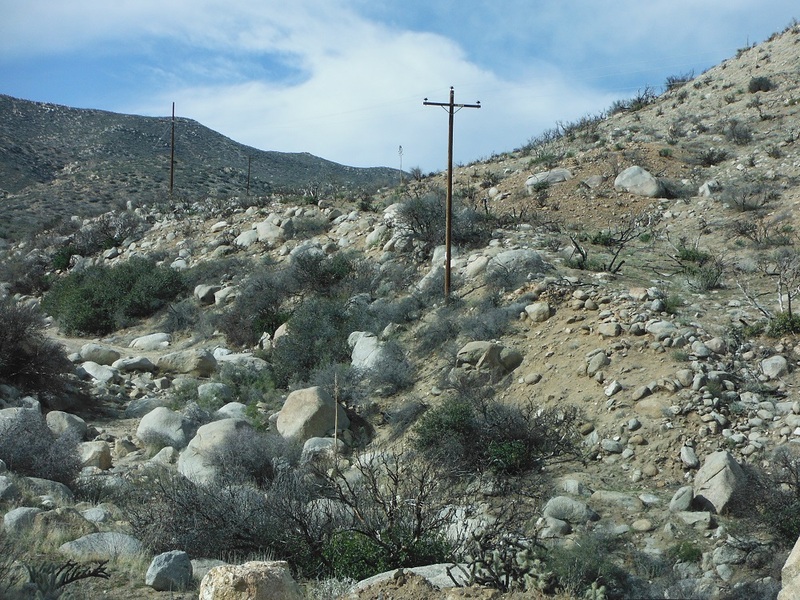 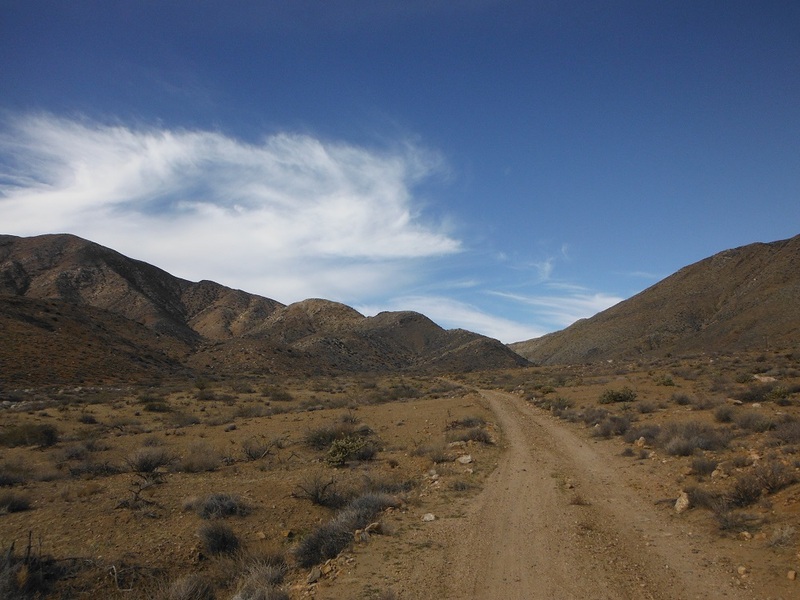 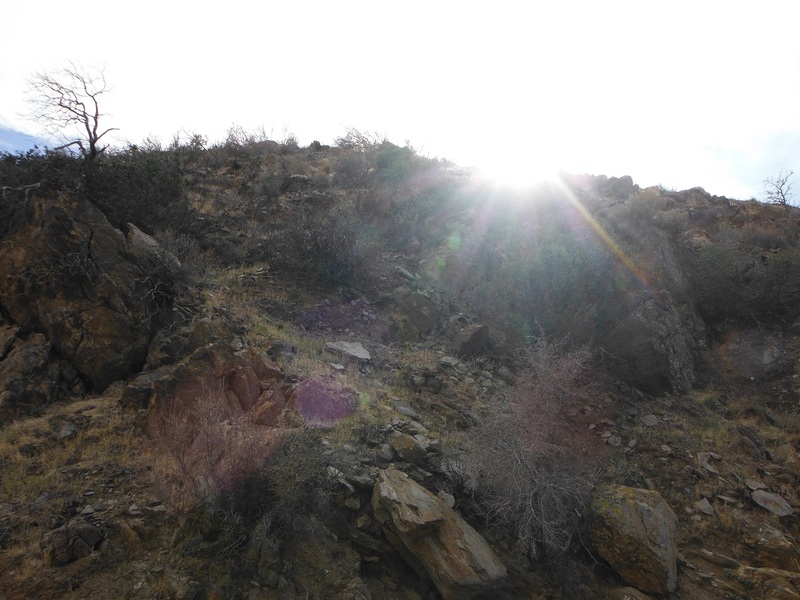 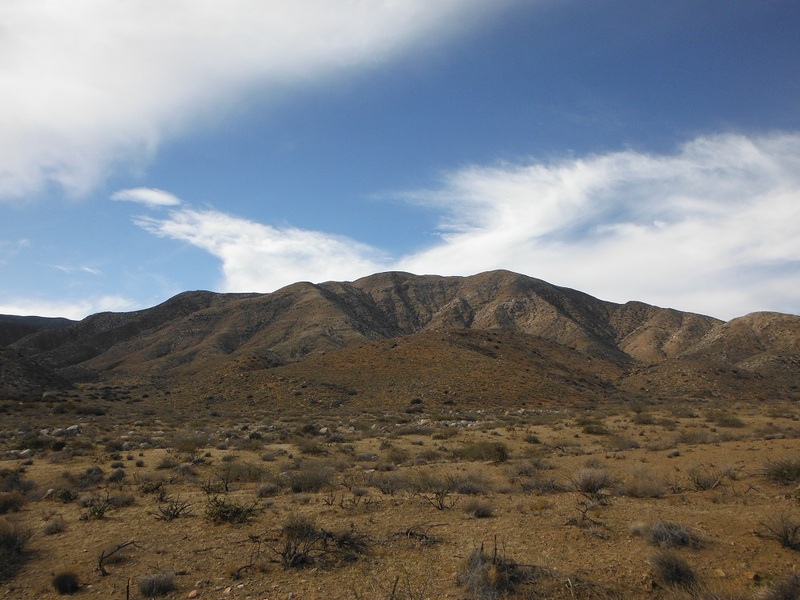 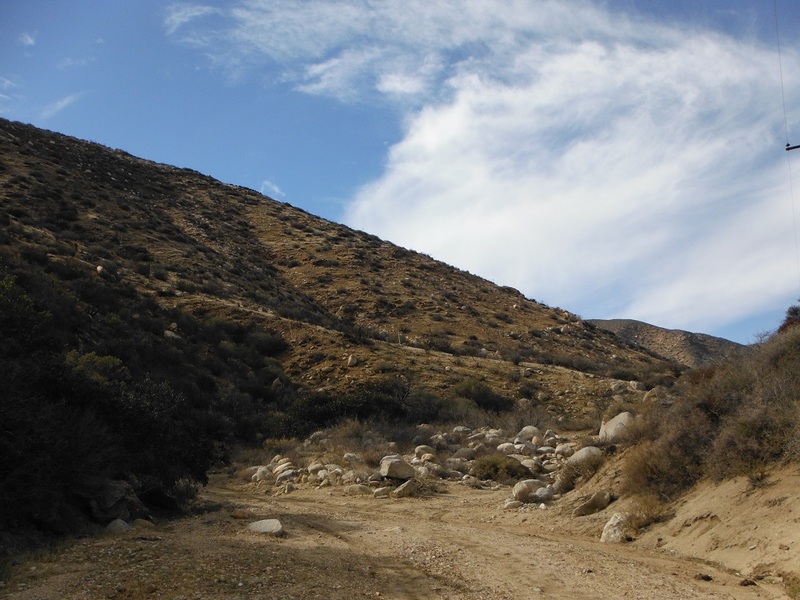 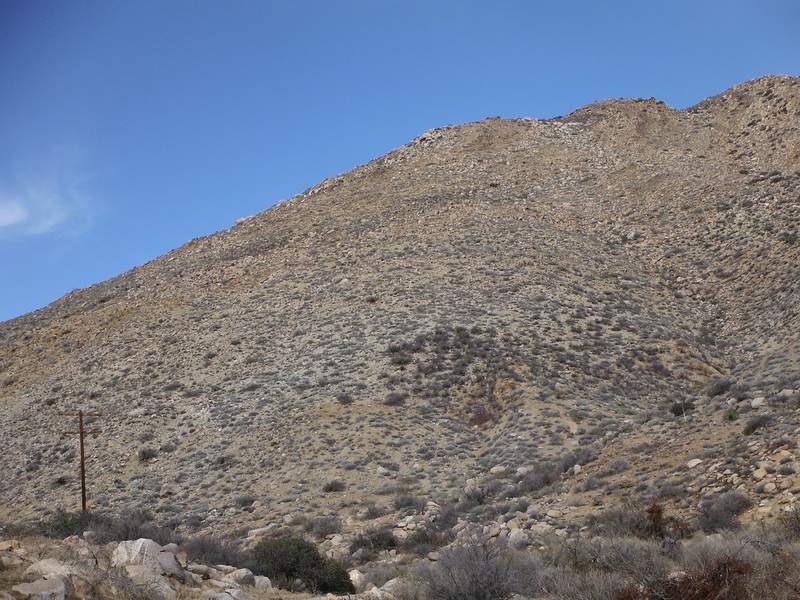 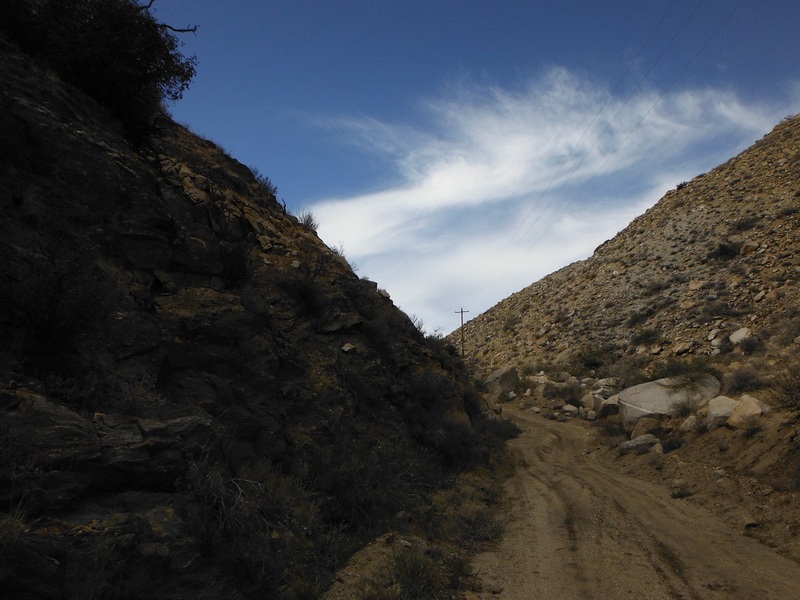 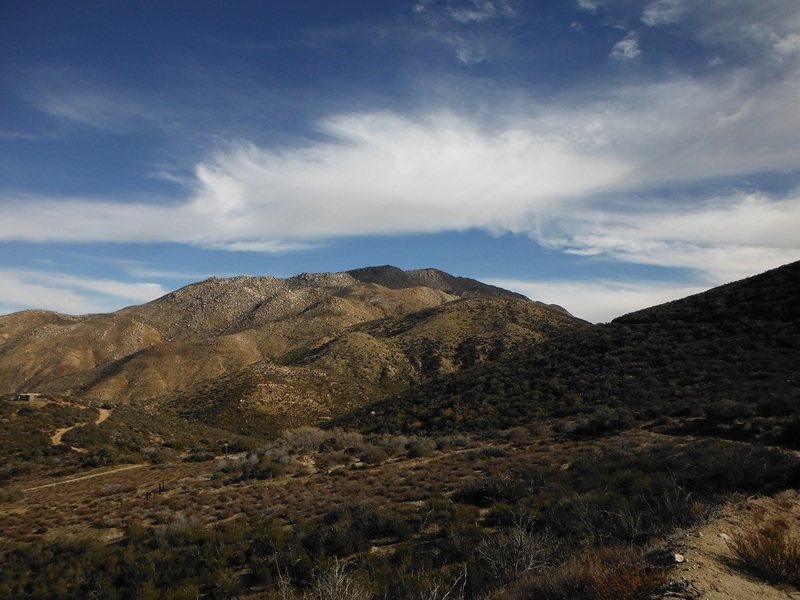 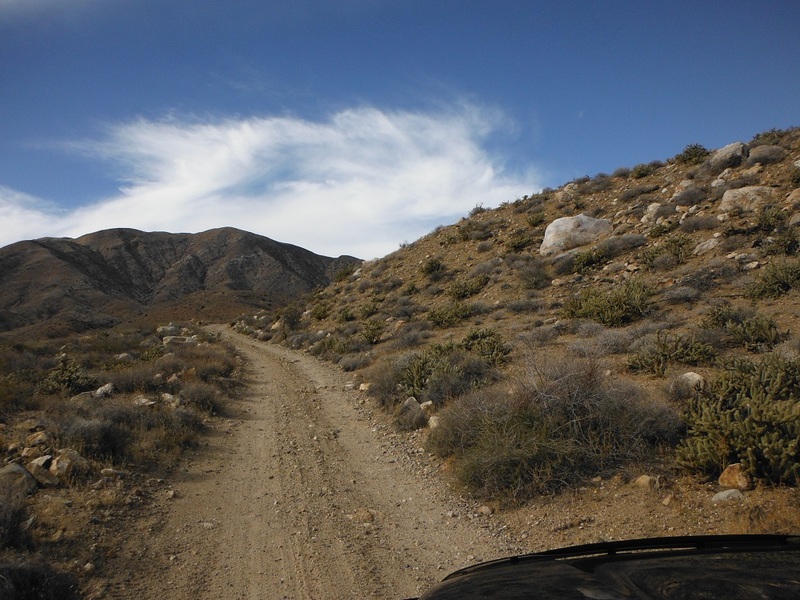 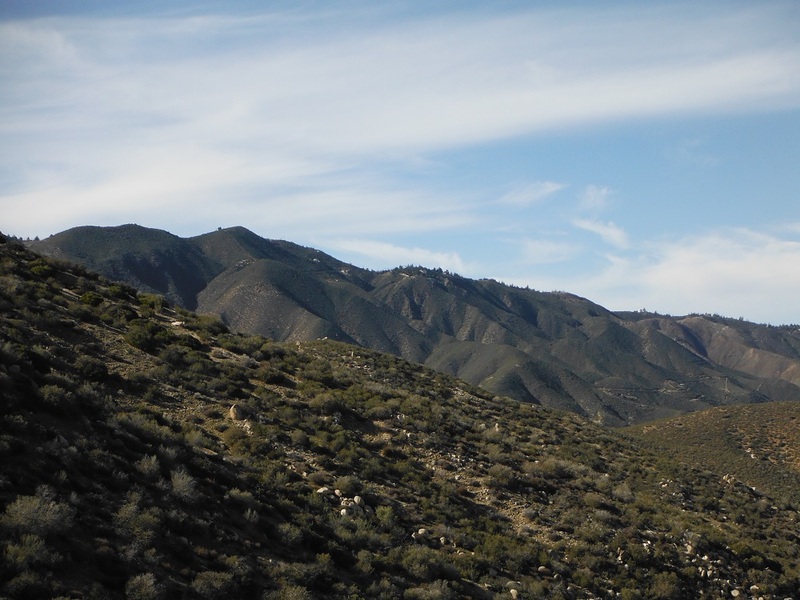 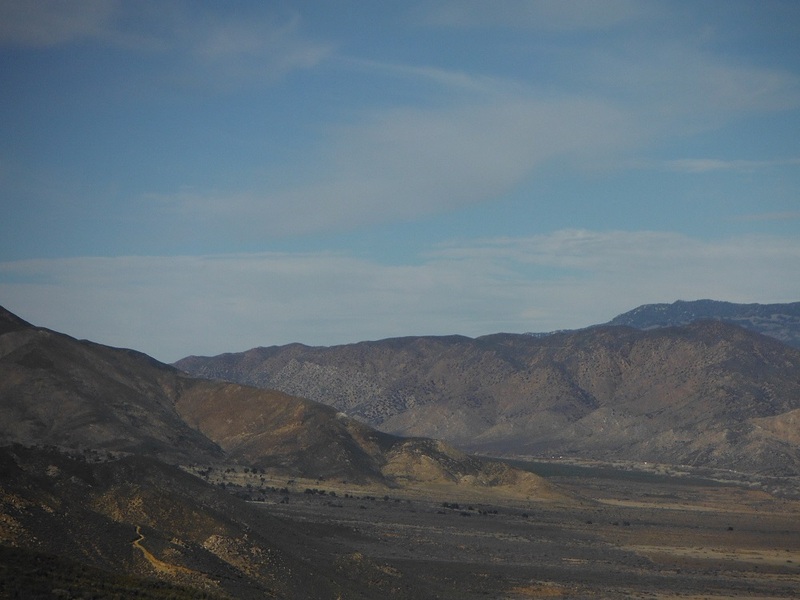 Rodriguez Canyon can be accessed from the northern end from CA-78 at the end of Banner Grade or from the south along S-2 (north of mile post 27). 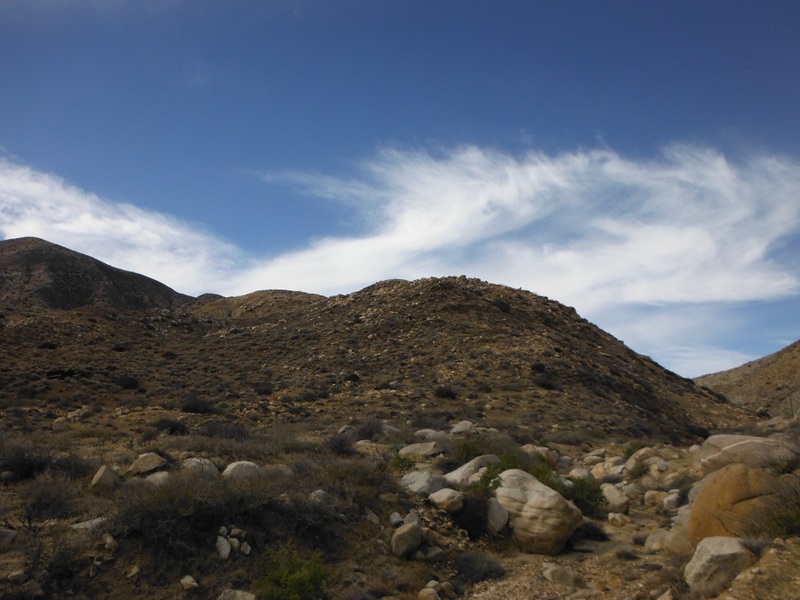 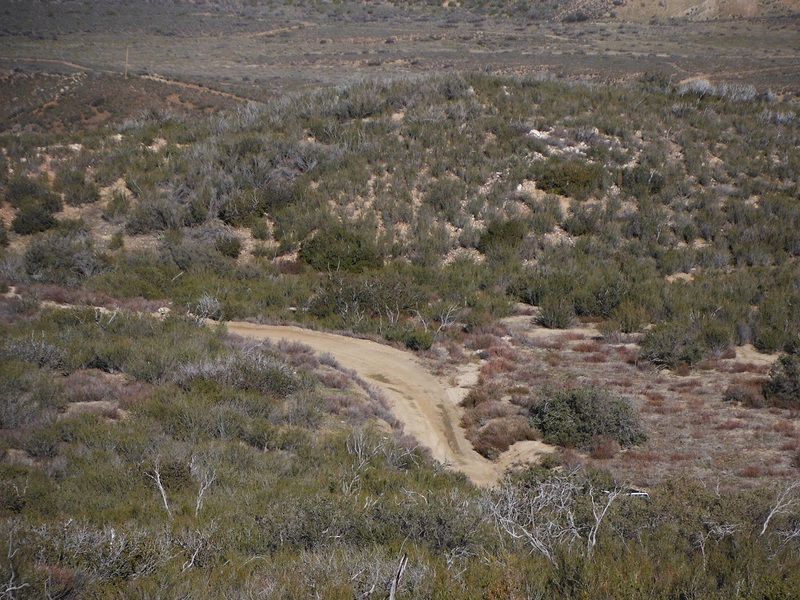 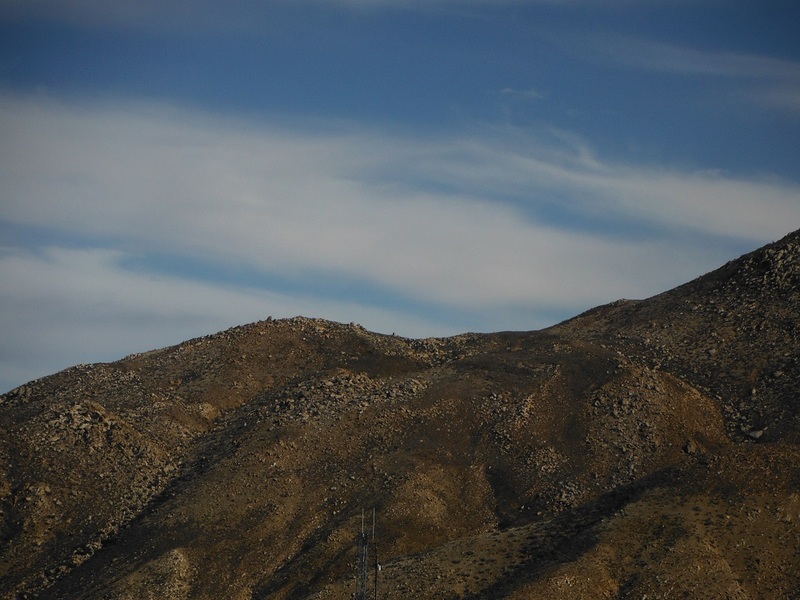 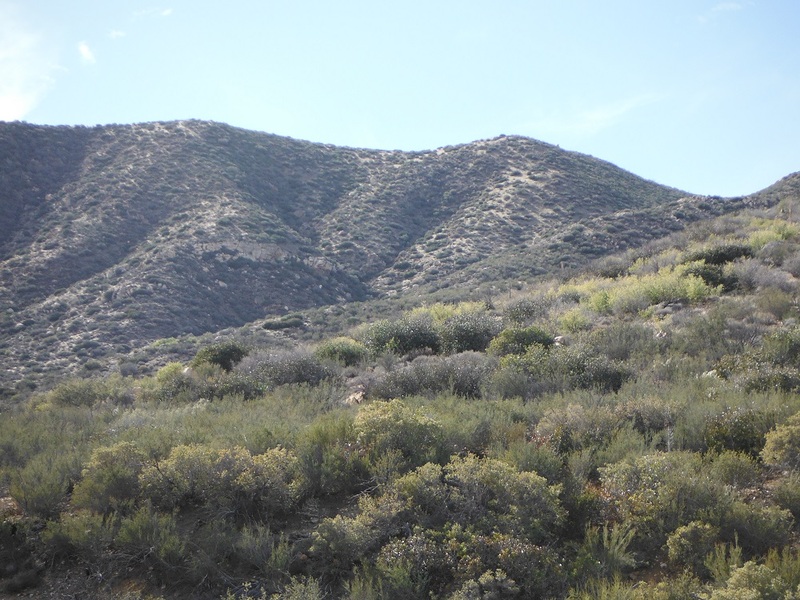 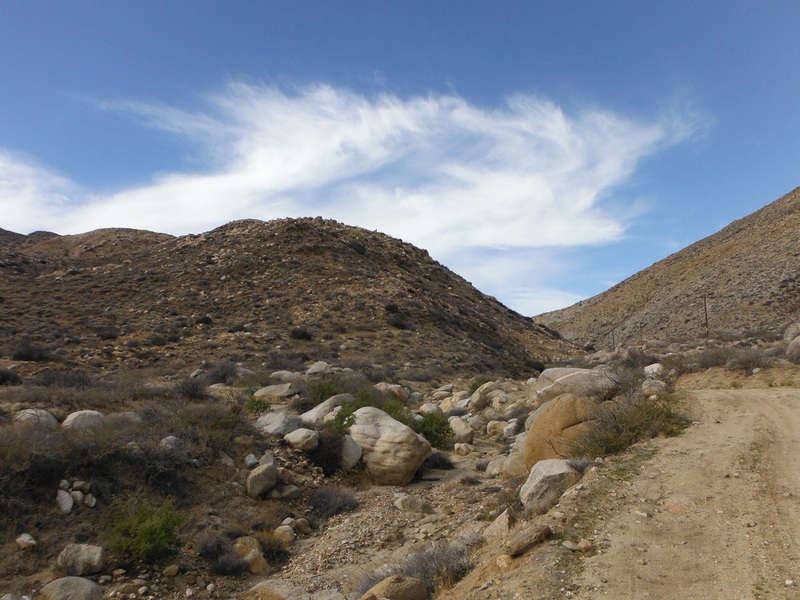 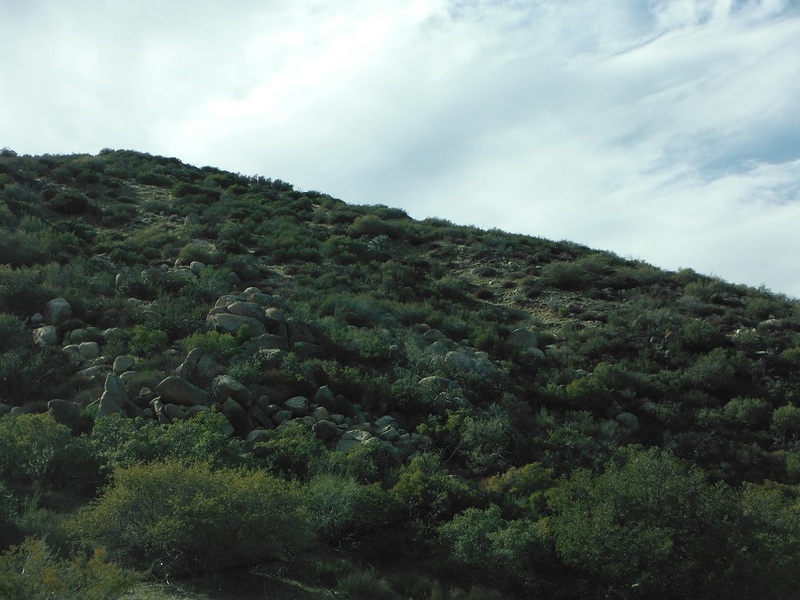 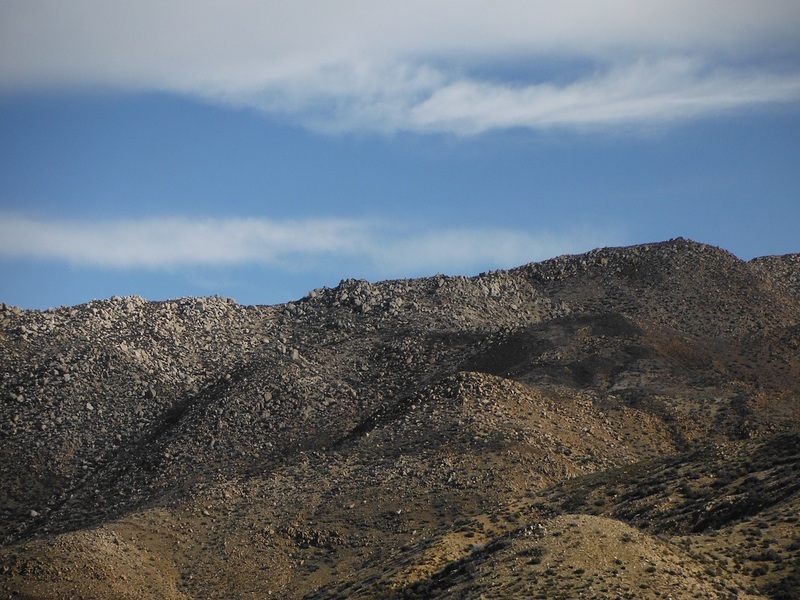 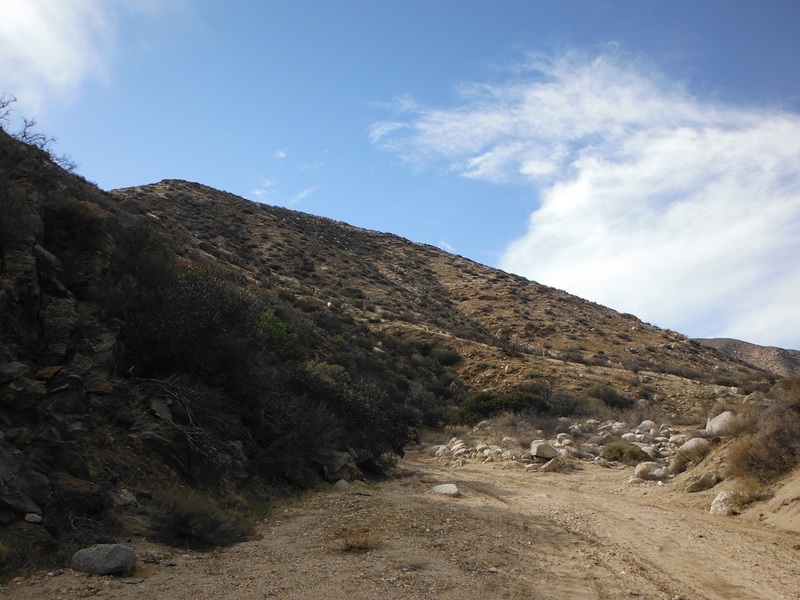 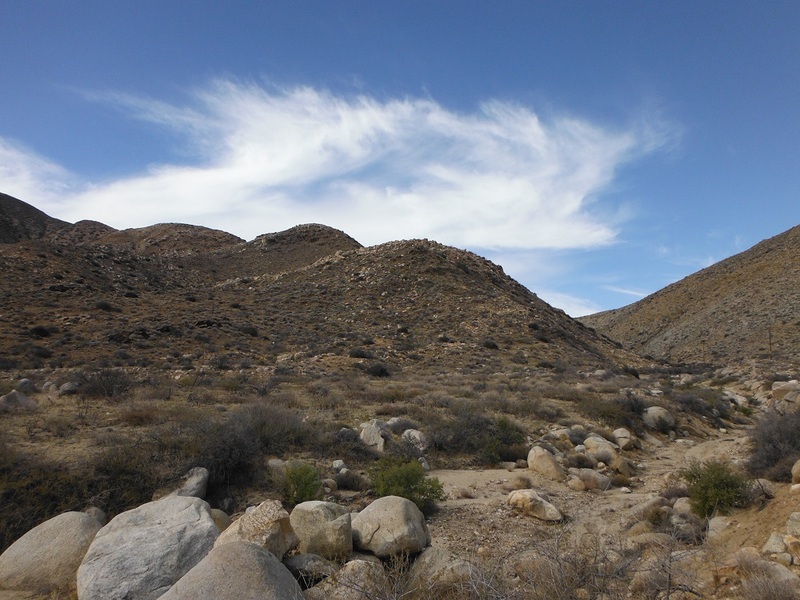 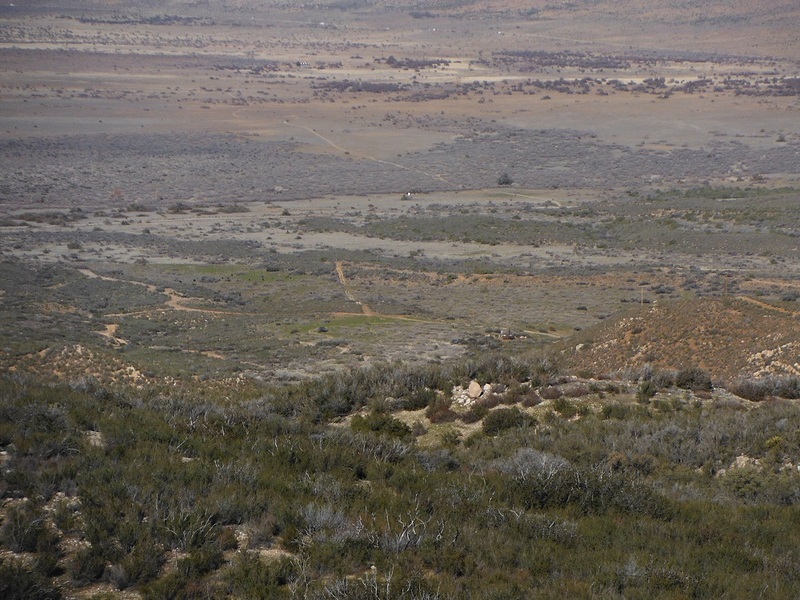 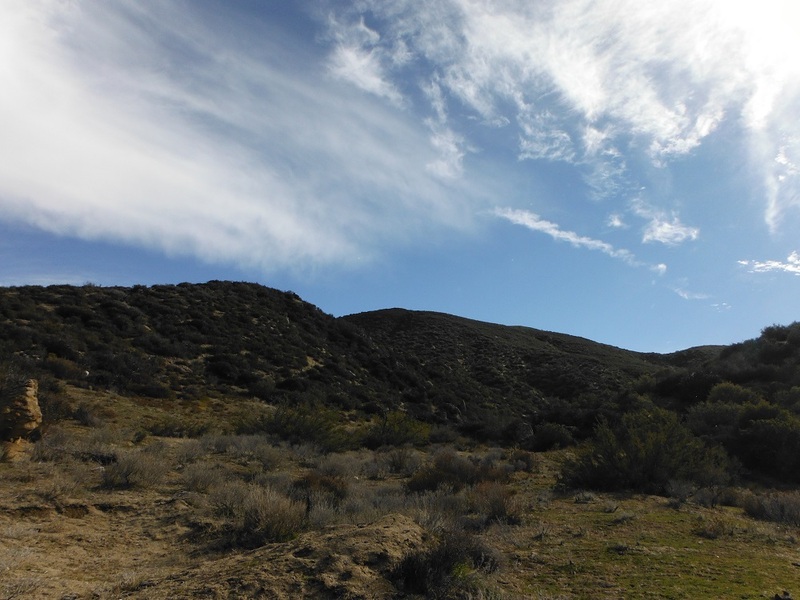 Rodriguez Canyon runs to the parallel and to the eastern side of Oriflamme Canyon. 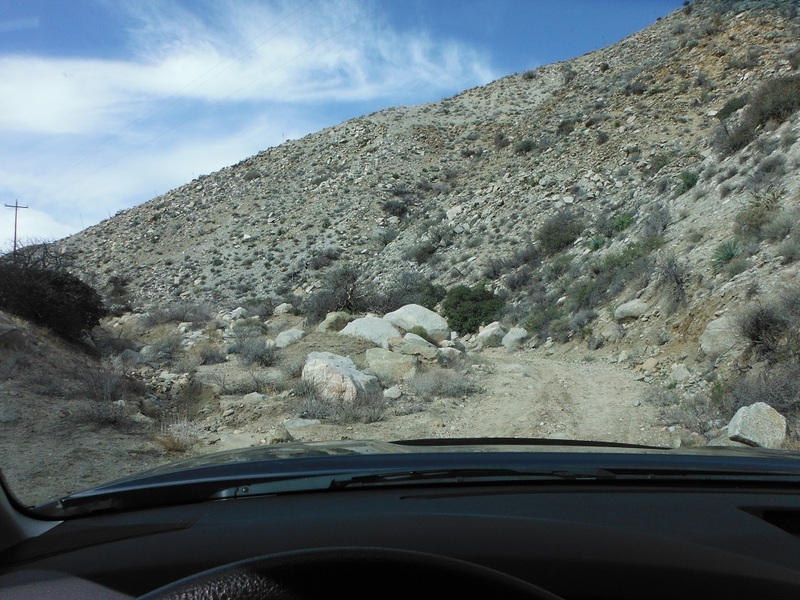 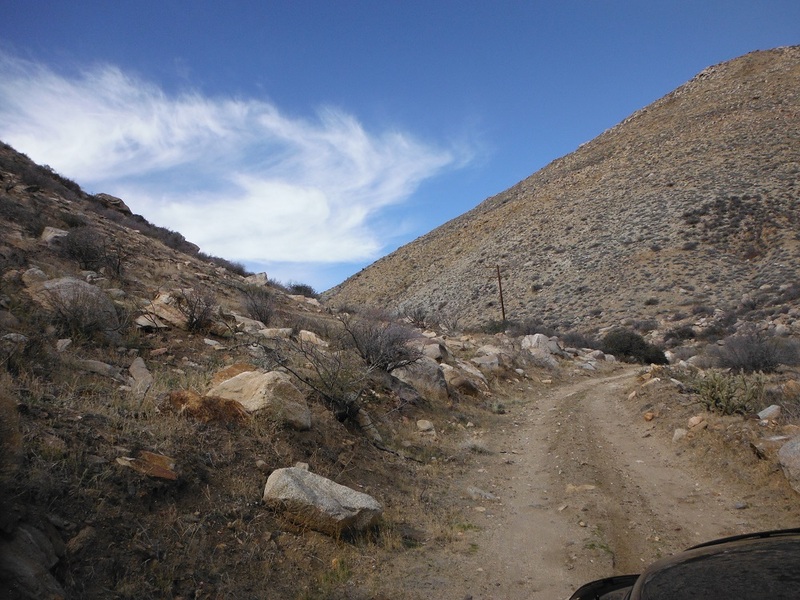 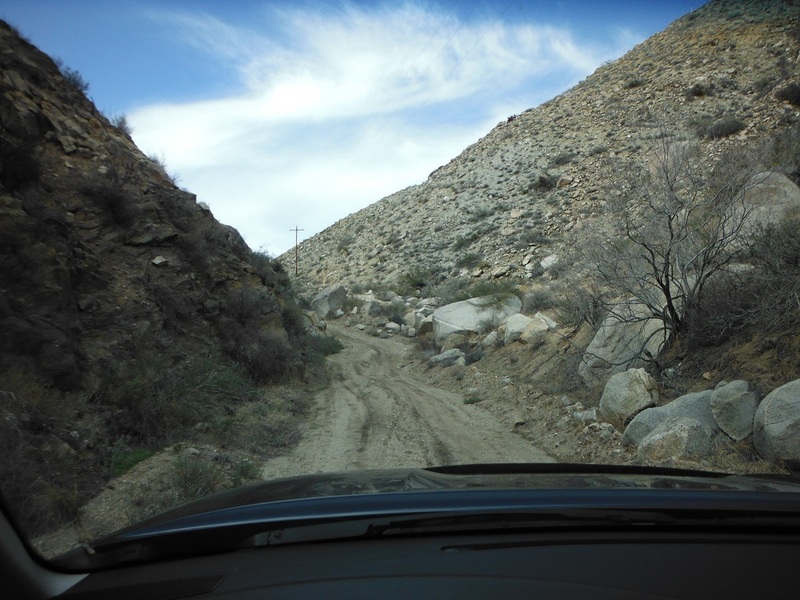 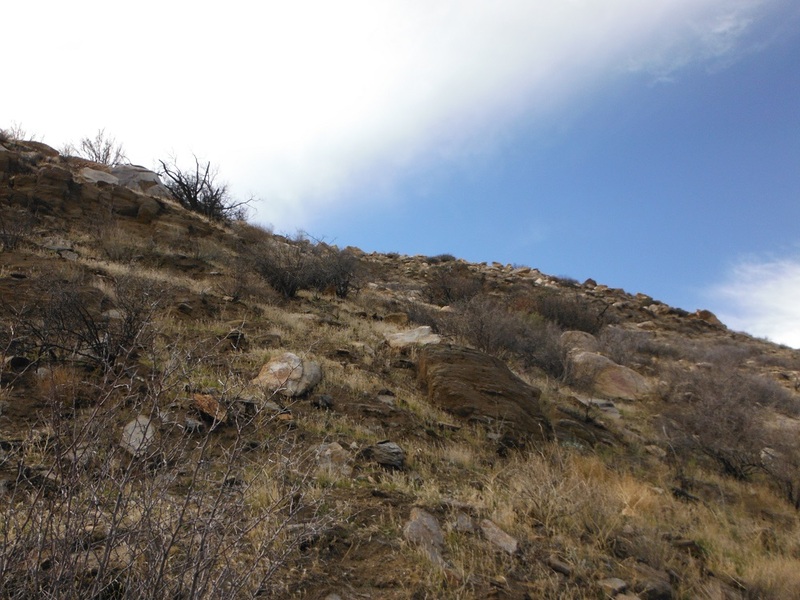 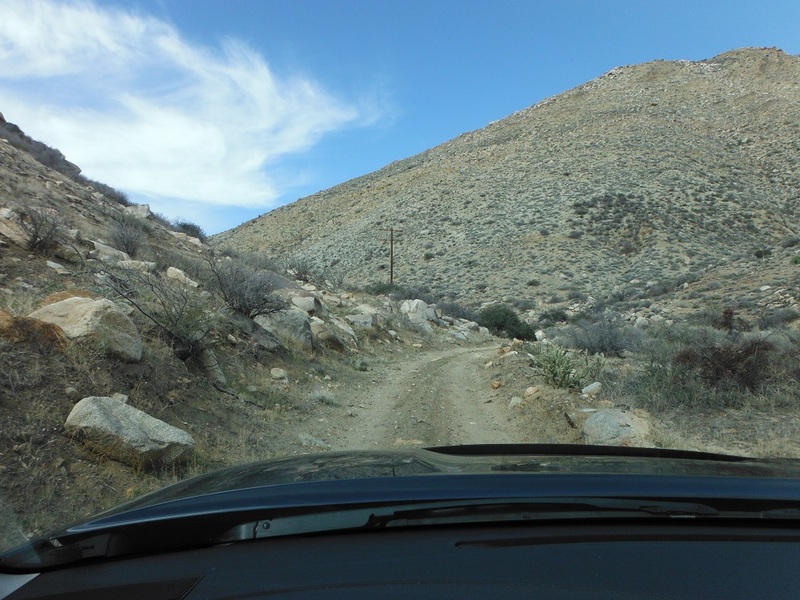 This trail is of slightly moderate difficulty; any good truck or 4×4 with some ground clearance will make it through with no problem. 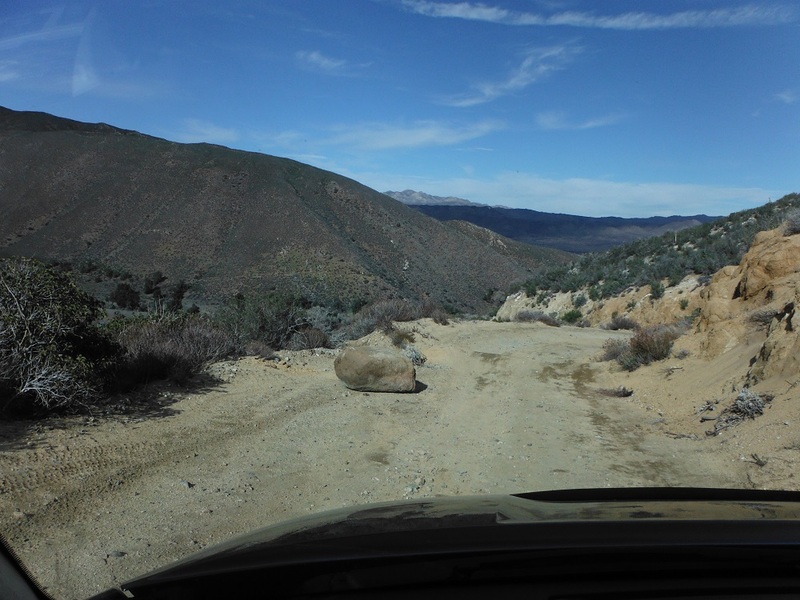 At the time I went through there was no snow though it is possible for some to accumulate during these winter times. 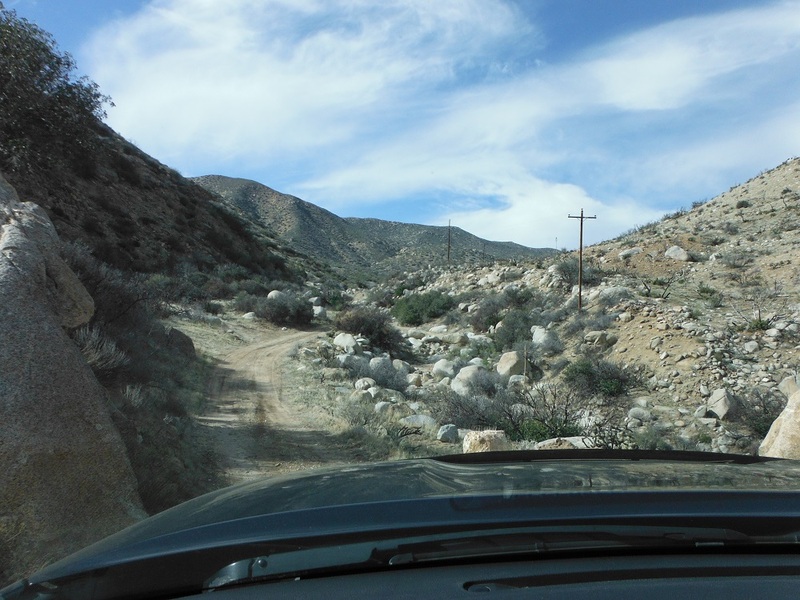 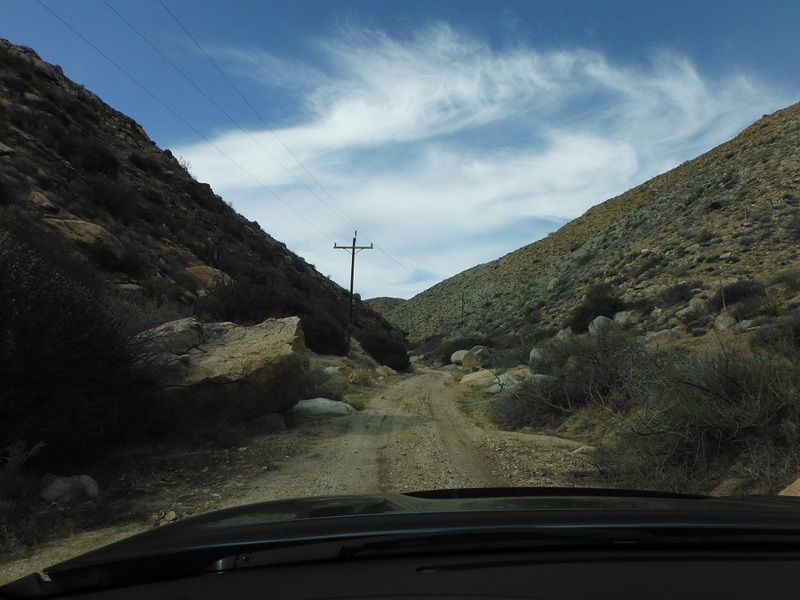 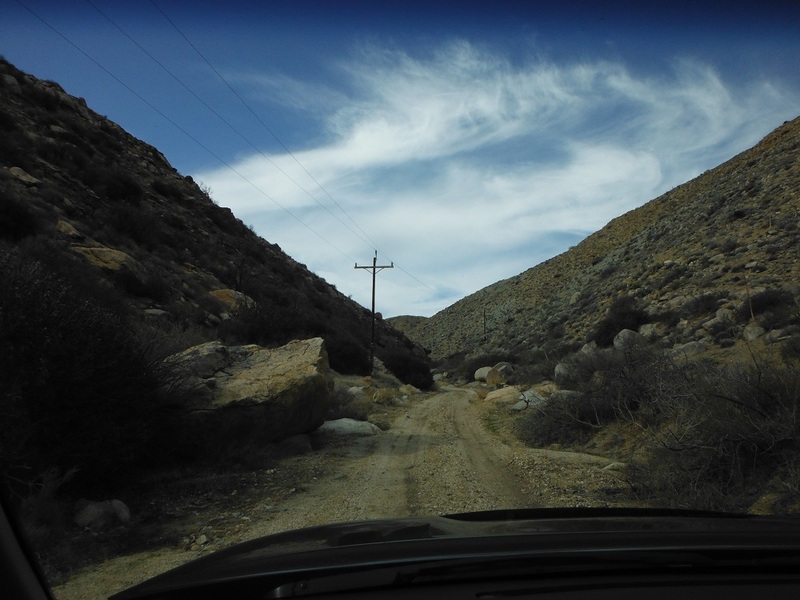 There are a number of private roads and land around the area so be careful not to trespass. 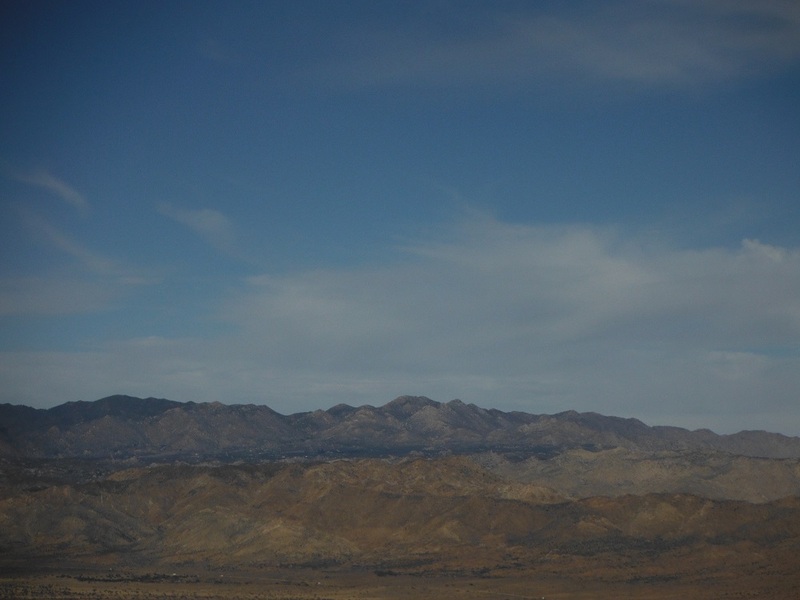 Enjoy the photos and videos! 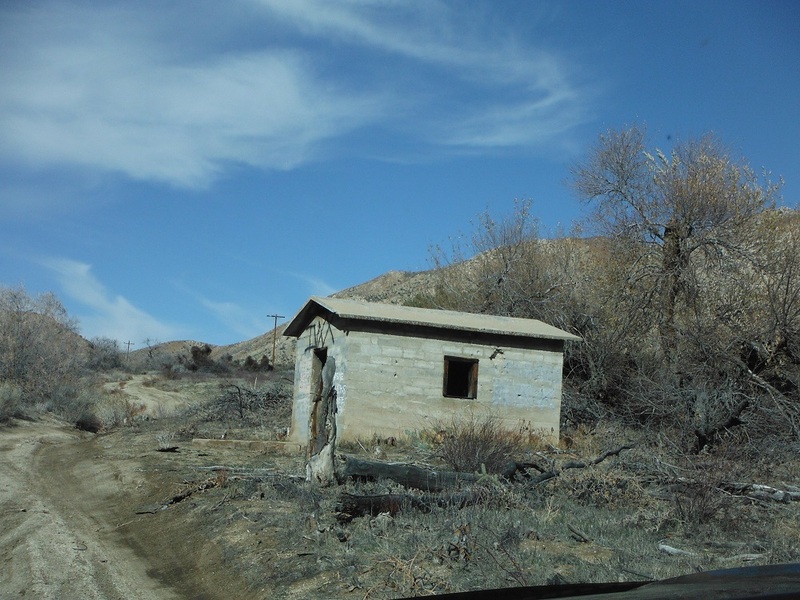 When was the last time someone lived here? 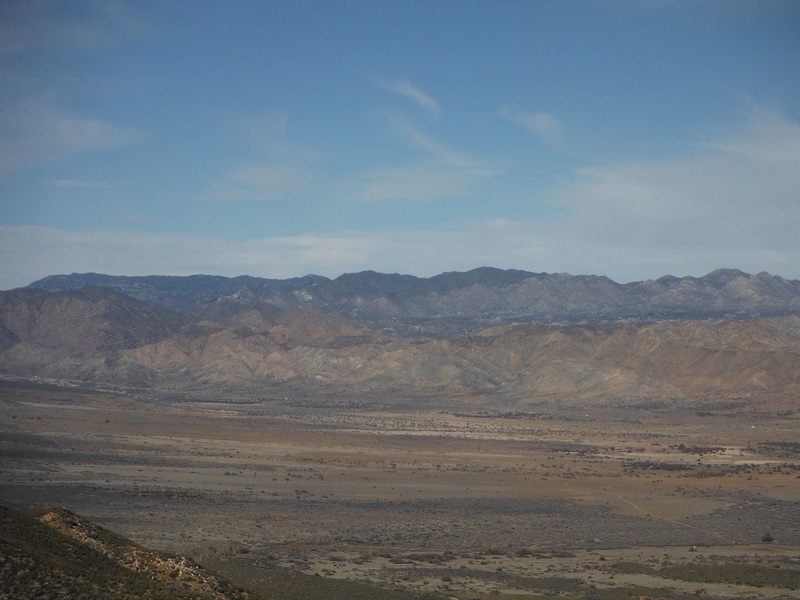 The view gets a bit more panoramic once you get higher up! 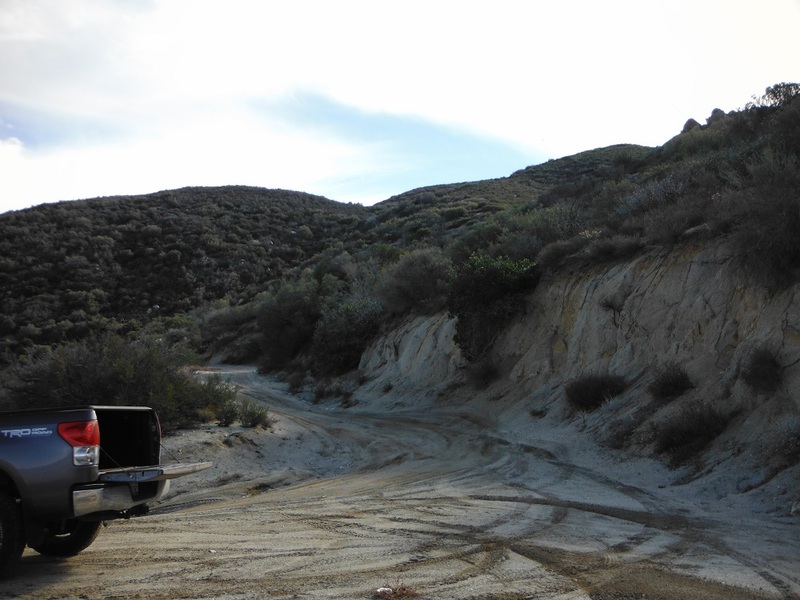 There was still some dust coming down the cliff as I drove by. 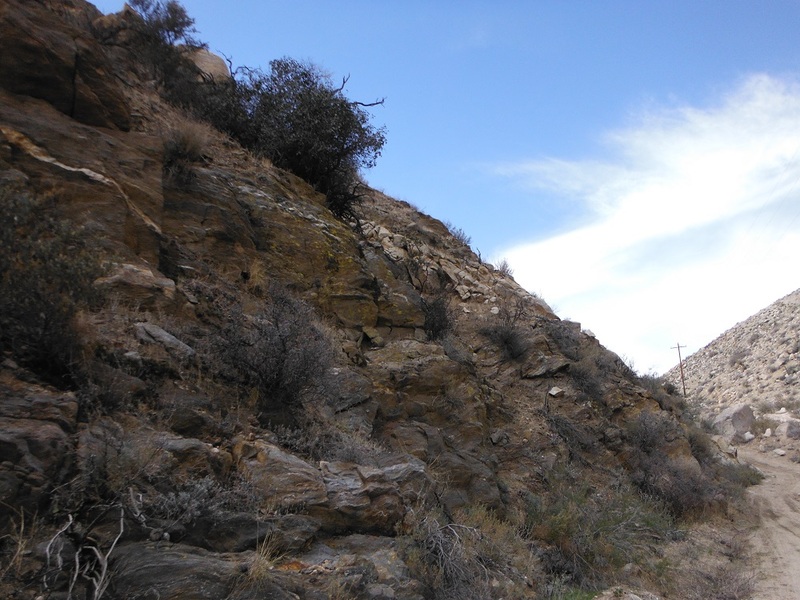 This is why you don’t sleep in a canyon or by a cliff.